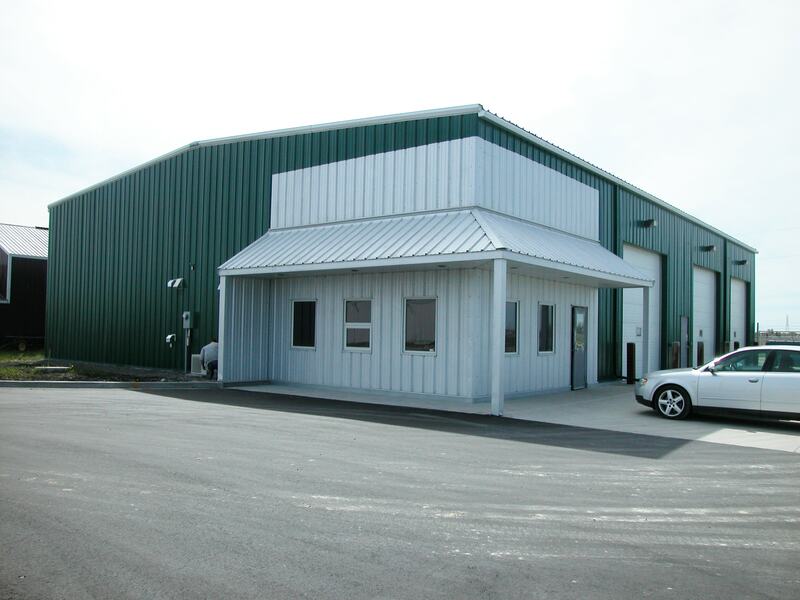 This simple maintenance shop is the straightforward building required by this excavating company. The deep green of the building is set off nicely by the galvalume cladding which encompasses and accents the front entrance. This entire building package is practical, good looking, and low-maintenance.